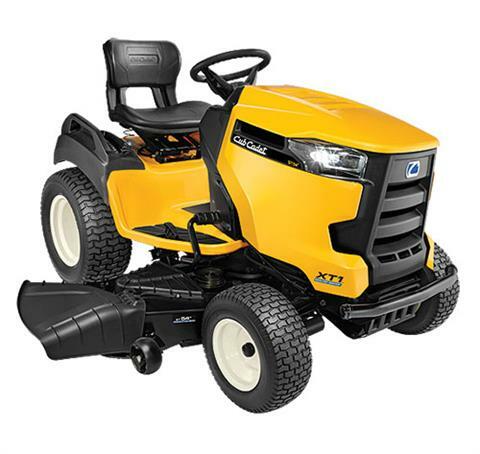 2018 Cub Cadet XT1 GT 54 in. INCREDIBLE STRENGTH AND COMFORT FROM THE GROUND UP. The XT1 Enduro Series lawn tractors set a new industry standard. Reimagined from top to bottom, these riding mowers deliver exceptional mowing performance, are remarkably comfortable and are engineered to support a wide variety of attachments for all-season versatility. 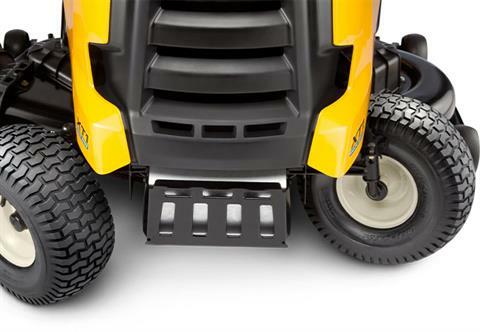 ADVANCED CUTTING PERFORMANCE: A new muscular cutting system features stamped and fabricated cutting deck options built with heavy duty materials and an advanced belt design, ensuring durability and reliability while delivering the pristine Cub Cadet Signature Cut™ and an unprecedented level of bagging performance. EXCEPTIONAL CORROSION PROTECTION: Only Cub Cadet offers the protection of the Corrosion Defense System with E-Coat. 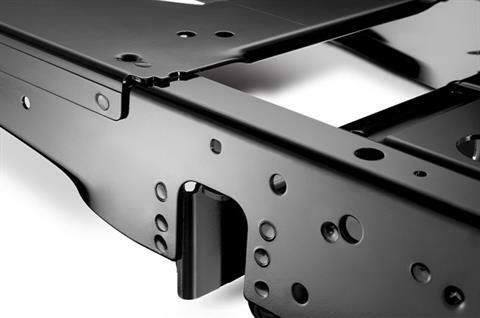 A multi-step process electronically applies automotive-grade corrosion resistance with meticulous care to protect against wear and tear. INCREDIBLY RESPONSIVE HANDLING: The XT 1’s new steering system delivers optimized command and control at every turn. Rear - 22 x 9.5 in. Engine oil capacity - 2 qt.